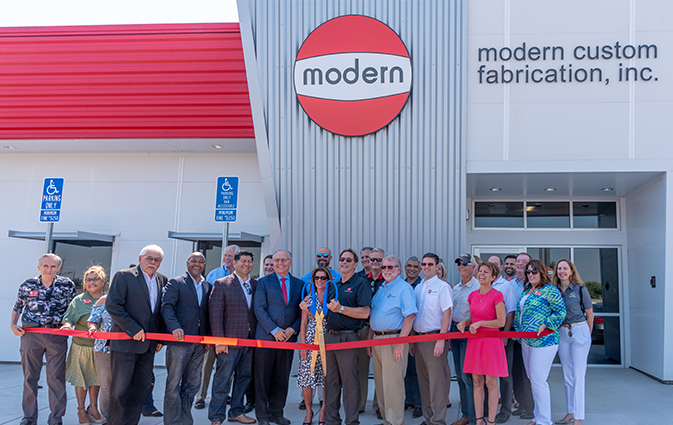 TETER joined Fresno Mayor Lee Brand, Fresno Chamber of Commerce, Fresno County Economic Development Corporation and other local businesses in celebrating the grand opening of Modern Custom Fabrication’s new production plant and office. 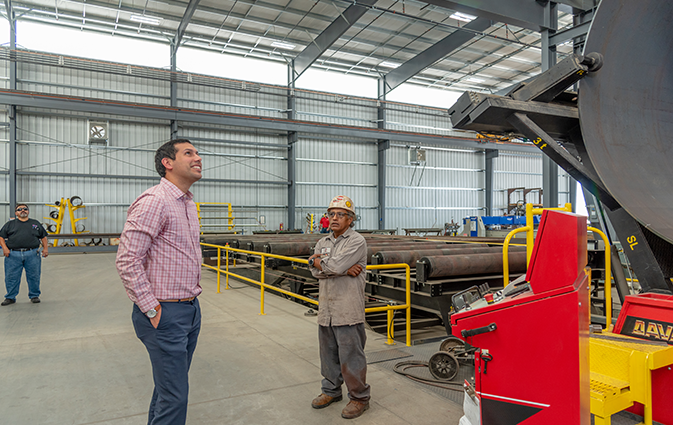 TETER provided architectural design, structural engineering, and construction administration services for MCF’s new 92,000 SF steel vessel production plant and 4,000 SF office. Robby Gottselig, Engineer-Of-Record of this project, attended the ribbon cutting ceremonies and was excited to see the completed project in-person. Robby Gottselig, Engineer-of-Record of MCF’s new plant, converses with an employee. 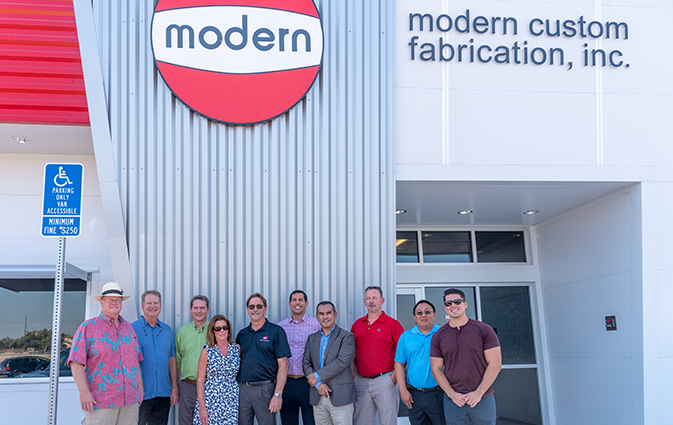 The design team with James Grey, Vice President and Plant Manager of MCF. 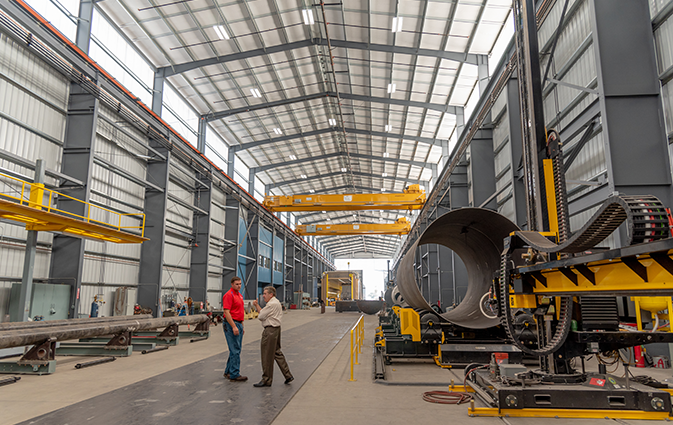 Interior of Modern Custom Fabrication’s new plant.